The Haryana government on Thursday decided that bedsheets of different colours would be used daily in all government hospitals amid to protect patients from infection. The directions were issued to all Chief Medical Officers (CMOs) in the state to ensure implementation, Haryana Health minister Anil Vij said here. “The Director General-Health Services would decide the colour for each specific day and communicate these to the CMOs. 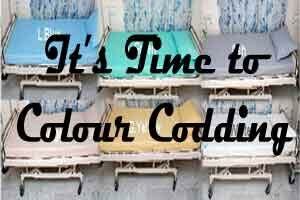 Notices specifying which colour would be used on a particular day would be displayed in each hospital,” Vij said. “During inspection of different hospitals in the state, complaints were received that bed-sheets in government hospitals were not being changed regularly, which led to greater risk of infection,” the minister pointed out.